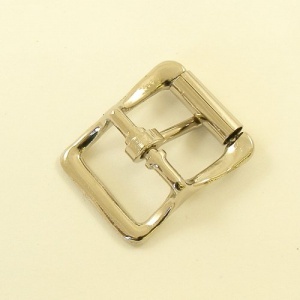 This is a lightweight die cast steel whole roller buckle, plated in nickel. 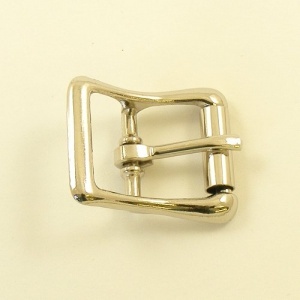 This listing is for the 19mm (3/4") size. These smart buckles are ideal for bag straps and closures and many other uses, but they are not suitable for dog collars due to their light weight construction.